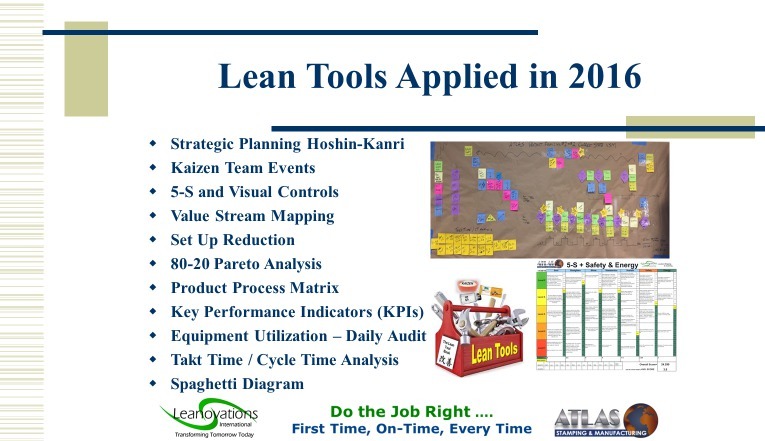 Empower your team through LEAN Manufacturing. Just be ready to lose your seat. A journey of a thousand miles begins with one step (Lao). Each of these familiar quotes are classic management wisdom. Yet accepting them blindly has its dangers. For example, who hasn’t discovered that Lao’s famous “First Step” can, on occasion, be a misstep or lead to a dead-end. 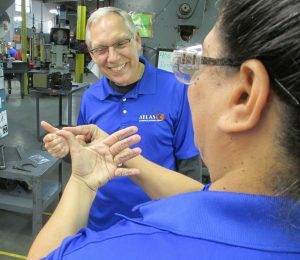 The journey of Continuous Improvement through LEAN Manufacturing principles, at Atlas Stamping & Manufacturing, had a false step or two, when we first began. What appeared to be a straightforward approach to adding value in our manufacturing operations – introduced as the Toyota Production System (TPS) under the legendary Taiichi Ohno – proved to be a big challenge, for Atlas, as it has for other companies that tried to follow the road paved by the Japanese automotive giant. Iwata was “absolutely correct,” said Bryne. Just 5-7% of U.S. businesses were getting it right. Why? 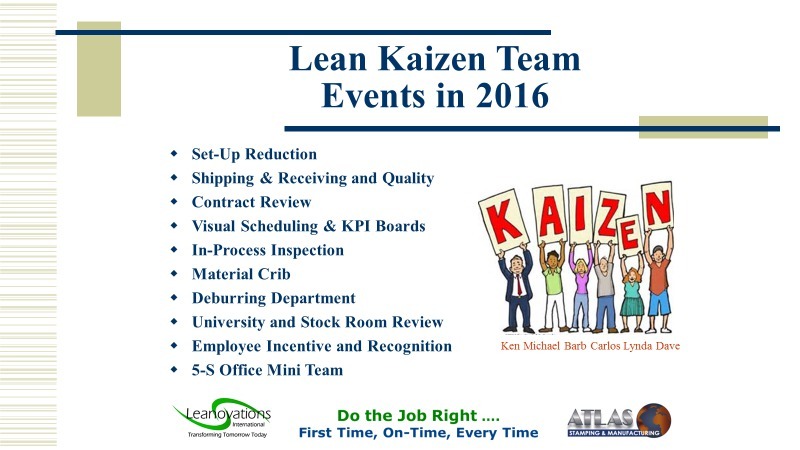 Applying LEAN processes, through “Kaizen” events, aka Change For the Better, and 5S methods often fail unless a firm’s culture is also transformed, by creating a new vision (LEAN Eyes), at the CEO-level, best developed in partnership with an expert “Sensei” or teacher. Finding the right Sensei was the break-through moment for Atlas. Our Continuous Improvement journey took off when we brought in a truly world-class practitioner in the field. Fred Shamburg, Founder and President of Leanovations LLC, is a high energy, passionate advocate of LEAN principles, who quickly shed his consultant garb to become a trusted business partner, valued friend, and fun guy to be around. Fred’s LEAN training came under Yoshiki Iwata and Chihiro Nakao, both members of the original TPS team. Fred earned national recognition as a “Shingo Prize Examiner“, when selected by the National Shingo Prize Board of Governors in 2007 for this prestigious honor. Fred agreed to help Atlas pursue our mission of achieving sustainable, profitable growth, by engaging the entire Atlas team – ownership, management, and front-line employees – in answering the question What Does Great Look Like? This began our march toward creating a “Quality Management” leadership culture that meets customer’s quality, on-time delivery and regulatory requirements, through a commitment to Do the Job Right – The First Time, On-Time, Every Time. And Fred only demands one thing from his clients and their employees. You’ve got to have fun, while maintaining constant gentle pressure (CGP), in pursuit of your goals. Leading this journey makes you realize that transforming cultures, rethinking business strategy and philosophy, and unlearning management styles is not easy, no matter how logical and beneficial changes may appear to be. The “AHA” moment for me, as CEO, came during a Kaizen focused on reducing waste and creating greater efficiencies in our Shipping & Receiving department. 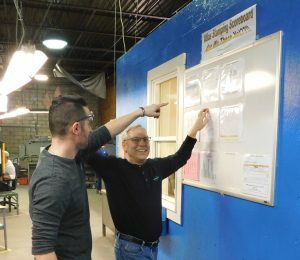 While hesitant to hand full ownership to our S&H Kaizen team, I quickly found their out-of-the-box thinking had triggered significant cross-departmental changes, dramatically improving our Quality Assurance process. These ideas were powerful time-savers and process improvements, unimaginable in a top-down process. Looking through new LEAN Eyes, I signed-off on changes to redesign processes, physical lay-outs and reallocate resources. 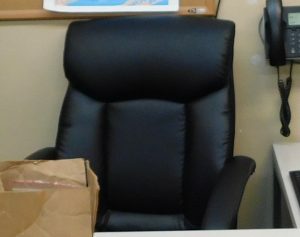 You know there is no turning back in empowering your employees when you walk into your office one day and find that the Kaizen team has requisitioned the CEO’s desk and high-backed, leather chair, in the name of Continuous Improvement. Be willing to give up your seat on the bus . . . time-and-time again. 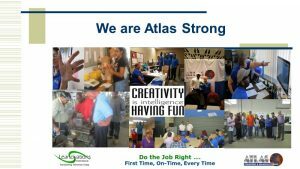 Contact me at Lynda@atlasstamping.com to see how we can put the Atlas Stamping & Manufacturing team to work identifying solutions to strengthen your supply chain and improve your bottom-line.